Tamron Hall is back to cover more true crime. Today, Investigation Discovery announced season four of Deadline: Crime with Tamron Hall premieres this weekend. The newsmagazine series features “complete coverage of crimes that shook the communities where they took place.” Season four will cover mysterious disappearances and crimes from Wisconsin, Texas, and Connecticut. 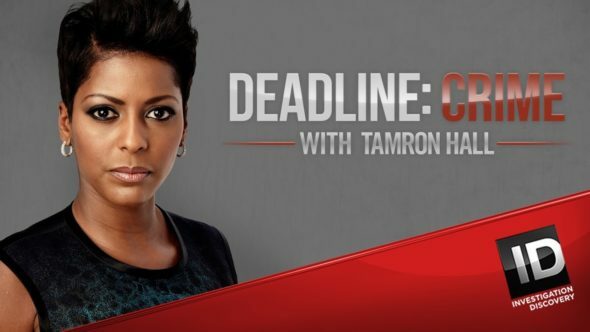 The new season of Deadline: Crime with Tamron Hall premieres this Sunday, June 12th, at 10 p.m. ET/PT. (New York, N.Y.) – Tamron Hall, co-host of NBC News’ TODAY and anchor of MSNBC Live with Tamron Hall, returns to Investigation Discovery (ID) for season four of her original investigative newsmagazine, DEADLINE: CRIME WITH TAMRON HALL. Featuring complete coverage of crimes that shook the communities where they took place, DEADLINE: CRIME includes 10 all-new episodes. Produced by Peacock Productions, NBC News’ award-winning production arm, the series kicks off 10 Sunday, June 12 at 10/9c. When Becky Sue MacDonald goes missing in Mount Pleasant, Michigan there’s reason to suspect foul play. In an effort to trip up their prime suspect, investigators use one of Becky’s daughters as bait in a dangerous game of taunting evil. A talented graduate student is nursing a broken heart, when she’s swept off her feet by someone new. But as their relationship progresses, revelations make it clear nothing is quite what it appears to be. What do you think? Have you seen Deadline? Will you watch the new season? More about: Deadline: Crime with Tamron Hall, Deadline: Crime with Tamron Hall: canceled or renewed?, Investigation Discovery TV shows: canceled or renewed?